Continuing in the trend from last weekend, I give you another guest post. Today I'd like to introduce Nancy Bazilchuk, award winning environmental and science writer, Knight Science Journalism fellow, and - you guessed it - my mother. She, like my father and I, is currently in the last stages of preparing for our through-hike of the JMT. Here's her take on the preperations. 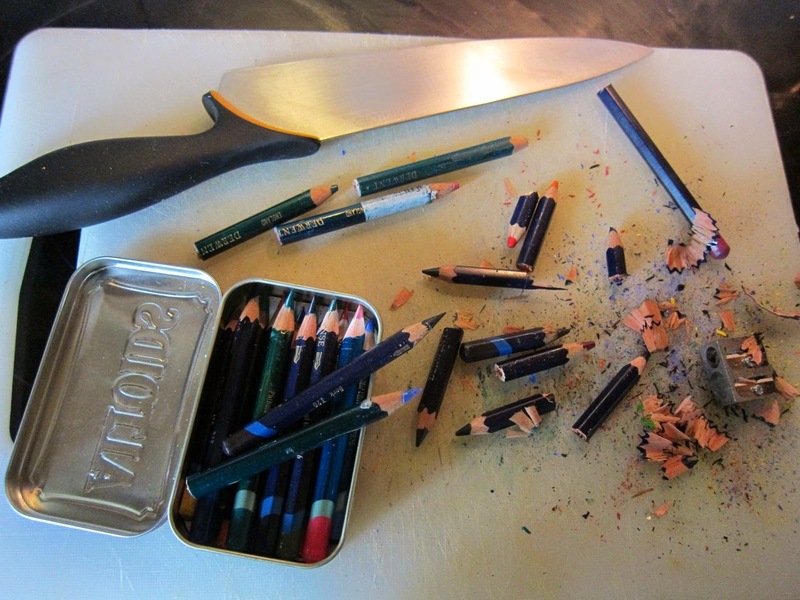 It’s a gray Sunday afternoon in Trondheim, and I am in my kitchen, chopping colored pencils in half. For most people, including me in a former life, this would be nothing short of stupid, if not absurd. What kind of moron cuts colored pencils in half? With a chef’s knife, no less? But for those who are hip to the idea of base weight, it makes perfect sense. Base weight is the weight of all the stuff that you have to carry for an extended backpacking trip, without the weight of things like food and water. It’s the stuff you can’t eat or get rid of without littering the landscape. 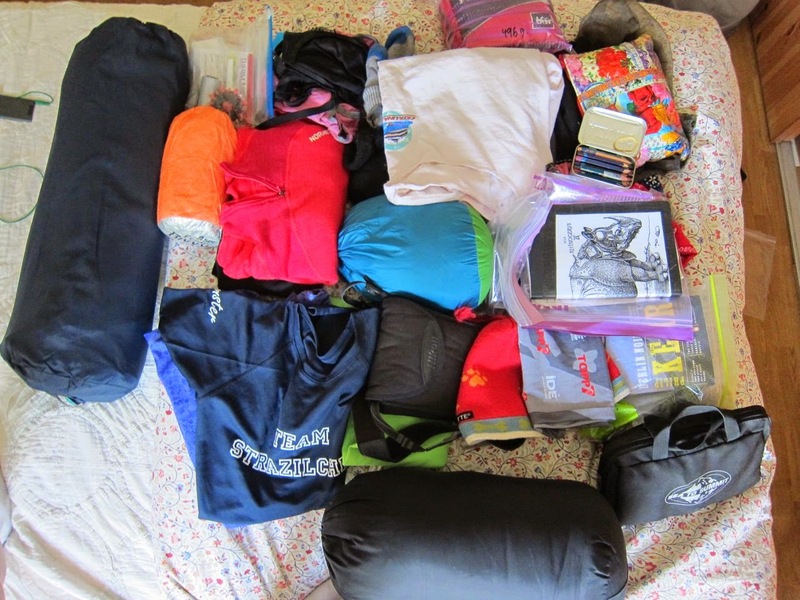 In less than a week, our family will head out on the John Muir Trail. We’ll take 25 days to hike 211 miles [339 km], and will cross 7 mountain passes higher than 11,000 feet [3300 meters]. I’m going to be carrying my base weight up over mountain passes, down past glacial tarns and up over the highest peak in the continental United States, Mount Whitney. I’m going to be intimately acquainted with every pound (or kilo) I have on my back. That should help explain the need for sawed-off colored pencils. Or may leave you wondering about the need for colored pencils at all. 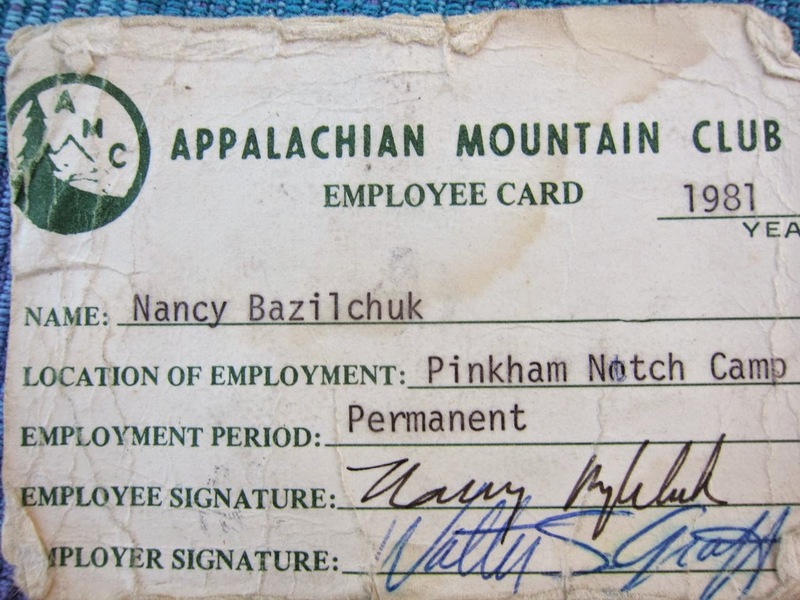 In my 20s, I worked for the Appalachian Mountain Club in the White Mountains of New Hampshire. I went there for a summer job, after an extended trip through Europe and part of Africa that I took after college. I came for a summer but I stayed for four-and-a-half years, after a job opened up teaching outdoor skills and natural history programs. The AMC maintains a chain of 8 mountain huts in the Whites that are fully staffed in the summer, and where all the food is packed in by the hut crews. 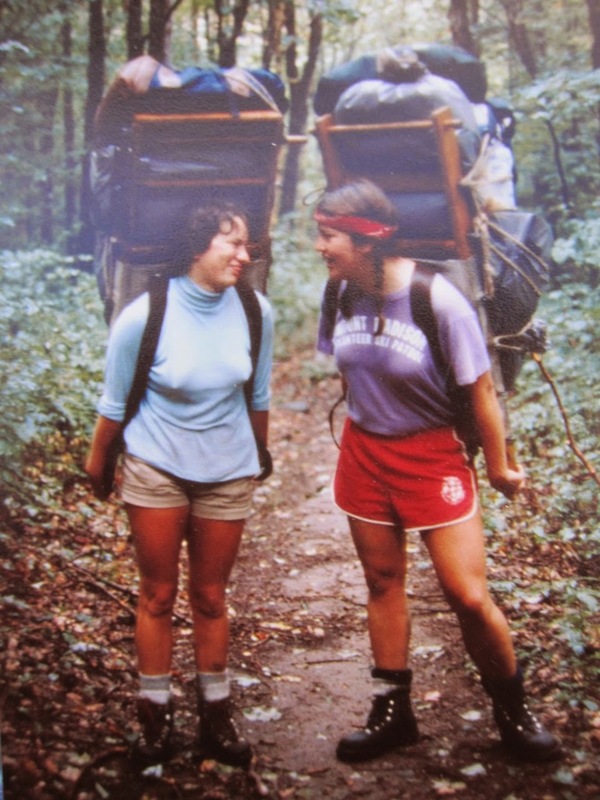 These pack trips can involve carrying 70 or 80 pounds at a time, and they are a source of much pride in the hut system. Although I was never a hut girl, I still carried my share of heavy packs into huts and everywhere else. Whenever I’d take my “Beginner’s Backpacking” workshop out, for example, I’d always carry lots of extra clothing to share with my workshop participants. In the evenings, after the working day, I’d often hike to one hut or another, bearing gifts – the most appreciated being cases of bottled beer, since all of the hut crews brewed their own beer and the bottles (after we had dutifully emptied them) were prized. 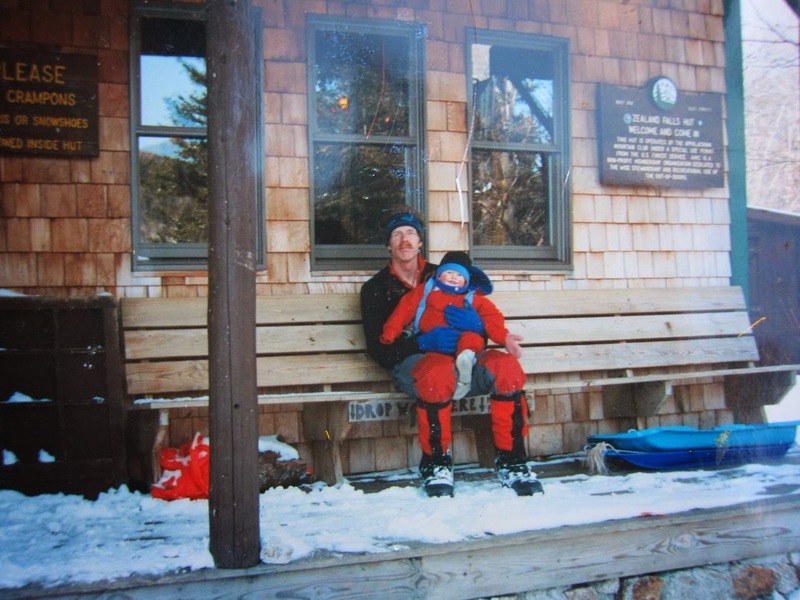 One time I carried 110 pounds [49 kg] into Lonesome Lake Hut, easily three-quarters of my body weight. My knees were invincible. At this point you surely must be thinking (or even hoping) that I’ve done more than just chop my pencils in half to pare my base weight and get ready for this hike. I’ve gone on training hikes with Rick, and with Molly and Rick. I’ve weighed and checked every piece of equipment, trying to make sure that it all is precisely what I will need, but no more. All you need is... gear? I’ve bought a few new lightweight pieces of gear – mainly an Osprey Aura 50, which weighs half of my old Lowe Expedition pack, and a new Thermarest NeoAir All Season sleeping pad. That helped. Then, the biggie – over the last year, I’ve lost about 15 kg. Now that’s a way to cut base weight! That means every time I hoist my pack I can think to myself that I have carried this much weight every day, all day, for years. Theoretically, anyway. Base weight also involves leaving things behind. In my case, the most important thing I have to leave behind is the perception I have of myself – as I once was, lugging heavy loads and thinking nothing of it. I was, after all, the original Wild Bazilchuk, and then the mom who carried all those extra clothes for Molly and her sister Zoe when we went for family hikes or ski trips together. 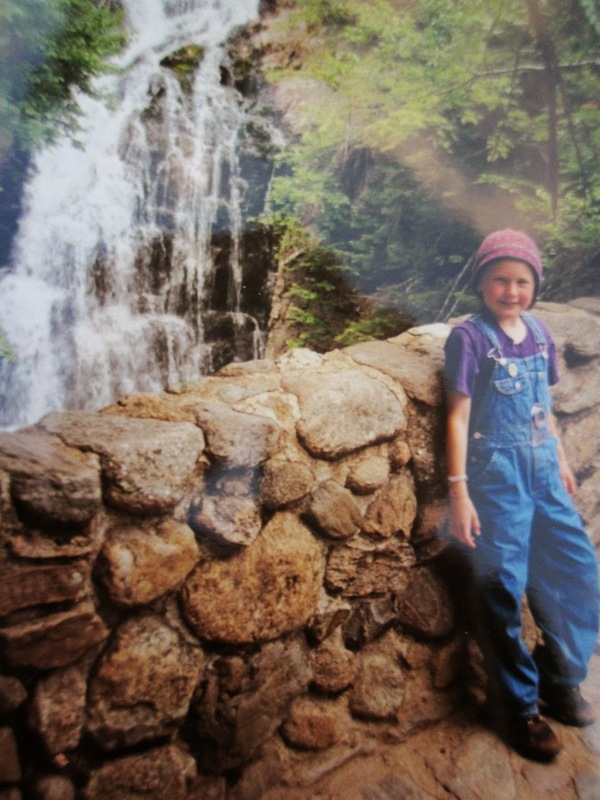 That’s my extra wool hat on Molly’s head in the picture of her in overalls, in front of Crystal Cascade, in the White Mountains. It’s a weird feeling to realize that Molly and Zoe are stronger than me. I no longer need to carry a big pack with the extra clothes to share with them – they’re the ones who are more likely to have to carry things for me. I did cut all those colored pencils in half, after all. Is *that* why the toadsticker was so dull the other day?